Nothing can compare to the natural beauty of real stone. In fact, you would not be looking at slab granite otherwise. Our premium surface stone selection offers wide variety of color patterns of GRANITE, MARBLE, QUARTZ, SILESTONE, LIMESTONE, travertine, and onyx natural stone slabs for granite countertops and other applications. We also offer a unique collection of exotic and semi-precious stone slabs. 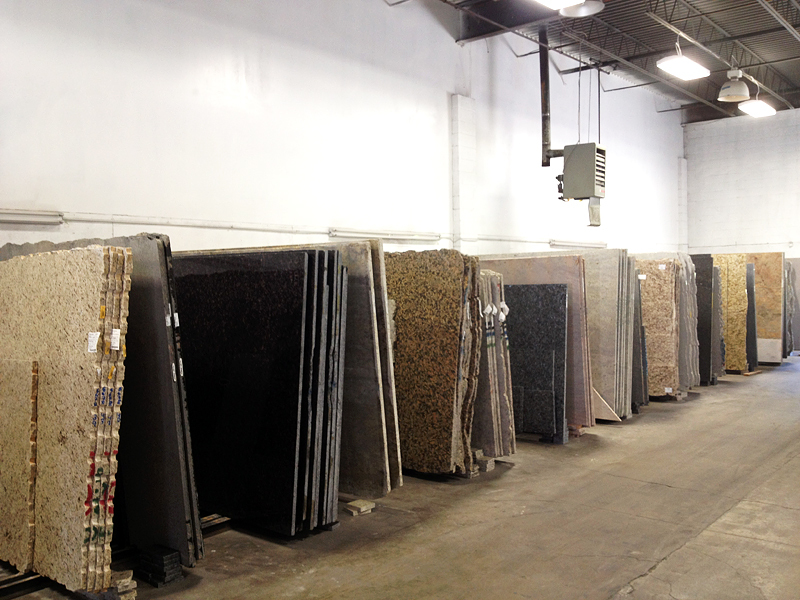 Our all other stone material and granite slabs are in-stock and ready for prompt fabrication. Real granite can be a touchy material, prone to breaking at the wrong places during fabrication, staining, and even scorching under high heat. All of our granite slabs are stored in our warehouse within the range of reasonable tempreture and ready to templating for prompt fabrication. The average size of natural slab granite used for countertops is 9 feet, 6 inches long by 5 feet, 6 inches wide, according to bulk granite wholesaler Slab Market. Most slabs used for counters are roughly 1.25" thick. Thickness can vary across the expanse of the slab. Thus, installers often have to shore up parts of the slab so that all areas are supported.